With the 2019 ACU British Sidecar Cross Championship due to start at the end of April, the ACU MX Committee is pleased to announce that Pro Clean have now agreed terms to become the new title sponsor. After successfully sponsoring the ACU British Motocross in recent years Pro Clean have decided the expand their sponsorship into the three-wheel scene with the Pro Clean ACU British Sidecar Cross Championship. Pro Clean is the market leader of Motorcycle Cleaning and Maintenance products in the UK and Europe for over 15 years, producing a full range of specifically developed products for motorcycles that enables you to not only clean but also maintain your motorcycle, keeping it in prime condition. 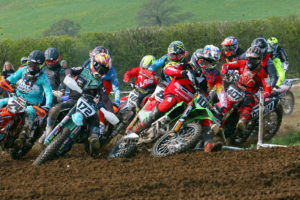 Rounding off the calendar for the 2019 season, it is great to see the return of the historic Asham Woods venue to host the second round of the Championship on the 26th May. The Frome club will be running the championship round alongside a line-up of Solo support classes. Registrations for the Championship are currently open and for further information regarding Pro Clean ACU British Sidecar Cross Championship and National Expert Sidecar Cross Championship please contact Sonia Goggin at the ACU Motocross Department on 01788 566404 and check the ACU website at www.acu.org.uk.